Hit and Run Truck Accident Attorney in St Louis. Here at Burger Law, we understand how injuries from a hit and run truck accident can strain your emotional, physical, and financial health. Gary Burger and his associates are prepared to aggressively fight for the compensation you deserve to cover medical bills, loss of wages, pain, and suffering, and more. The hit and run truck accident lawyers at Burger law do not believe that an injury victim should have to pay for legal representation in order to receive a decent recovery. We work on a contingency-fee basis, and we do not expect you to pay any expenses until we have won you case. If you or a loved one have endured injuries from a hit and run truck accident and are in need of a seasoned law firm in St Louis, allow Burger Law to fight for your recovery. Burger Law covers a complete range of truck accidents including hit and runs. Being involved in a hit and run trucking accident is frightening while possibly resulting in devastating injuries. The hit and run truck lawyers at Burger Law are committed to helping injury victims in the St Louis area receive fair compensation for the damages they’ve endured due to the unsafe acts of another individual, company, or corporation. We have represented hundreds of people who have become victims of hit and run truck accidents, and our injury attorneys have accomplished financial recovery while protecting the future of our clients. 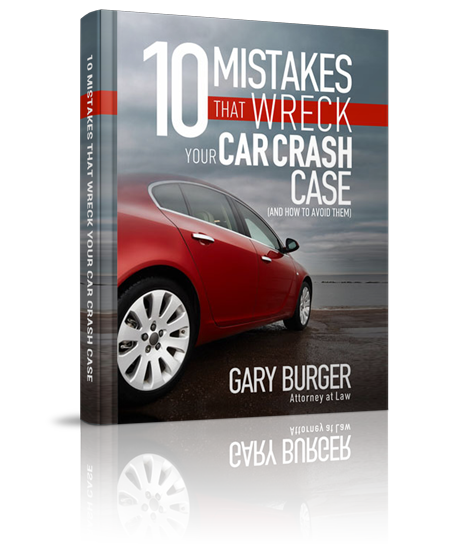 For your free case evaluation, contact Gary Burger and his associates by calling (314) 542-2222 or completing our online contact form. The hit and run truck accident attorneys at Burger Law offer legal services throughout the Greater Missouri and Illinois region. If you’d like to learn more about uninsured motorist coverage, penalties for leaving a hit and run trucking accident, or anything in between, contact the Burger Law firm today. We look forward to providing you with the highest quality of advice, support, and litigation. Our Hit and Run Truck Accident Lawyers are dedicated to providing the victims of hit and run truck crashes with expert legal advice and counseling. If you’ve been in a hit and run truck accident and believe that your accident may fall under another category, please choose from the below.